Los Angeles, Oct 23 (IANS) Actor George Clooney hopes the current scenario where women are voicing their cases of sexual harassment is a “watershed moment for society where women feel safe enough” to talk about the issue. On Sunday, at the premiere of his latest directorial foray “Suburbicon”, Clooney talked about the issue, reports thehollywoodreporter.com. “What we hope is this is a watershed moment for society where women feel safe enough to talk about this issue, feel believed and where men who are committing these crimes and violations don’t feel safe and feel as if they do these things they’re going to be outed, sued and may even get litigated and go to jail for it,” said Clooney. “If we can get to that point then we actually succeeded. This thing won’t end up just being Harvey Weinstein jokes in three months,” he added. In addition, stars including Jessica Chastain, Brie Larson, Patricia Arquette, Judd Apatow and Seth Rogen have all spoken out in one way or another. Clooney also spoke out against filmmaker Woody Allen’s remark that Hollywood had created a “witch hunt atmosphere” after several actresses blamed Weinstein of sexually harassing them. 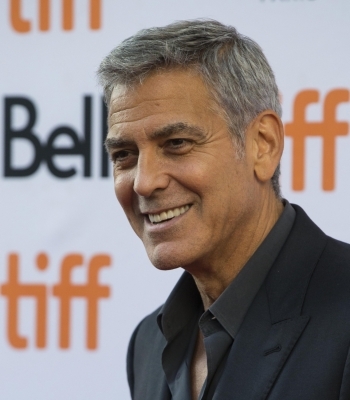 “That’s a stupid thing to say,” Clooney responded. “The reality is it’s not a witch hunt to these women who were trapped in a hotel room and told they were going to get a part and then suddenly here comes Harvey Weinstein in his birthday suit. That’s an assault. It’s not just Hollywood it’s all of society and we’re going to have to come to terms with it because we haven’t yet,” he added. Actor Matt Damon remains optimistic about how these stories can bring change. “I really do believe there is going to be major change. There won’t be this type of behaviour anymore,” said Damon. Damon hopes victims of these crimes speak out worldwide and not just in Hollywood.